Last December, I took a ride over to Ocean Springs, Mississippi for one of my semi-regular visits to Maisano’s Fine Wine & Spirits. 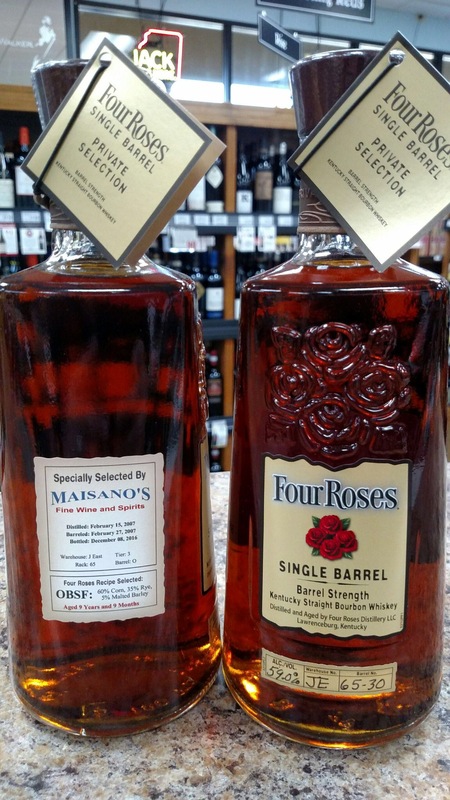 I’m always interested in what single barrel store picks owner Jonathan Maisano has in stock. I picked up a bottle of his store pick 1792 Full Proof while I was there. Before I left, he gave me a tiny sample of his next Four Roses Single Barrel pick – a 9 year, 9 month old 118 proof OBSF. I asked him to let me know when the bottle was hitting shelves, as I’d like to post short piece about the release. So, as you’re reading this post, 114 bottles are currently hitting the shelves at Maisano’s for about $60 each. That’s the barrel yield. Not a lot to go around. Being an OBSF recipe, this Four Roses is spicy! Cardamon and cinnamon lead the nose, alongside hints of caramel, red fruits, and oak. Taste-wise, oak spice is a major player here. Underneath lies a bed of creamy caramel. The bourbon opens up to reveal ripe tree fruits and vanilla, with a touch of spearmint. The finish is long, leaving a warm, satisfying cinnamon-topped vanilla creme. Thanks to Maisano’s for the sample. As always, all thoughts and opinions are my own. I work in a liquor store that sells multiple brands of this exact concept. I think it’s a neat way to give customers something unique. Currently, we have store-exclusive Knob Creek, Journeyman, and Jefferson bottles. I never really knew stores could buy and have whole barrels bottled for them. It’s cool to see an article on this. Thanks, and keep up with the reviews.